Fuse fast imprinting with your custom logo – 24HR! 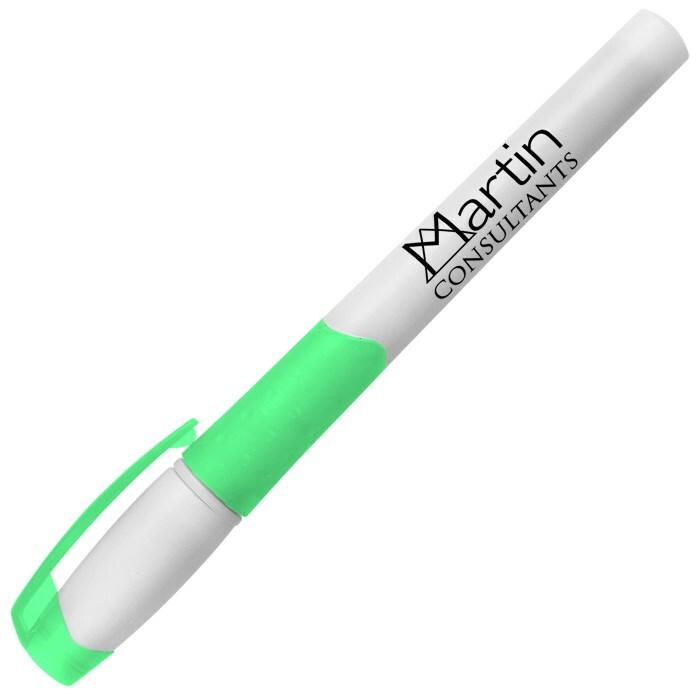 Stylish highlighter features color-coordinated translucent clip and grip inlay in contemporary design. Translucent grip reveals dimpled ovals for a more comfortable hold and visual interest. Chisel-tip marker is ideal for marking documents, books, reports, maps, and more. Several vibrant ink colors to choose from! 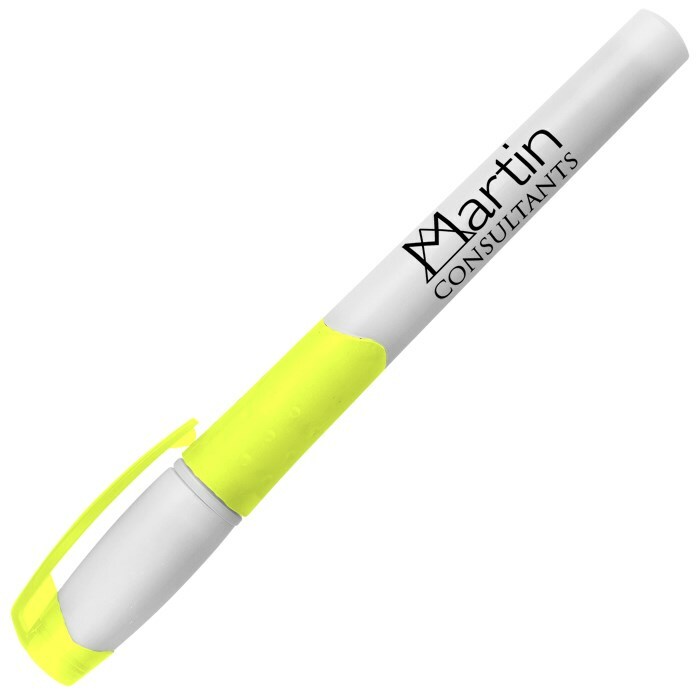 Your price includes a one color imprint on the barrel of the highlighter.